Have you ever questioned received wisdom? Have you ever put forward a new idea? Have you ever voiced an unpopular opinion? Do you work alongside any colleague who has? If you answered “yes” to any of the above, the removal of Statute 24 affects you. Paul Bridge, UCU’s National Head of HE, will speak. Invite non-members to come. Anyone can take part in the debate. 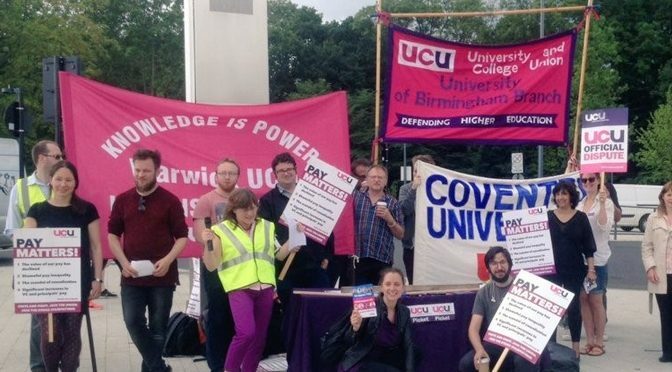 Encourage non-members to join UCU ( https://join.ucu.org.uk/) so they can vote on the motion – details to follow. University management are determined to remove virtually all of Statute 24 and make all staff subject to the same policies on redundancy, discipline, grievance and sickness absence. This will make it much easier and quicker to dismiss academic staff and, by extension, the professional, technical and support staff who work alongside them. UCU is strongly opposed to this kind of change, both nationally and locally. Under the new system, Heads of Department will get fresh powers to make academic staff redundant and Faculty Chairs will be able to dismiss academics for saying anything that could damage the university’s reputation. There will be no external scrutiny and no independent appeal. This cannot be right. The checks and balances detailed in Statute 24 are essential to protect academic freedom not just in principle but in day-to-day practice. If you genuinely want academic staff to question received wisdom and put forward controversial/unpopular opinions … don’t make Heads of Department responsible for academic redundancies and Faculty Chairs the arbiters of gross misconduct.